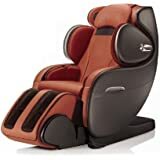 Designed with a set of vertically movable ,four wheel driven muted intelligent massage hands designed with emulation massage methods of shiatsu kneading. 1 year National on-site RoboTouch warranty : video : https://www.youtube.com/watch?v=WSUll5D92lY&feature=youtu.be. 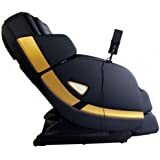 Designed with a set of vertically movable ,four wheel driven muted intelligent massage hands designed with emulation massage methods of shiatsu kneading. 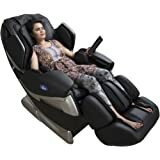 flapping, knocking ,simultaneous kneading and flapping Set with the shoulder automatic detection and location Set with characterized auto massage function; Ache-improving comfort ease fast improving experience massage, upper body lower body six kinds of automatic set with memory set on function M1 and M2. Manual massage for the upper body with three options, fixed, partial and overall massage, with five levels of speed adjustable in the state of flapping, shiatsu and knocking, the width between the two kneading balls which are adjustable with three Levels; wide, medium and narrow.On partial and fixed point, the massage hands can move up and down to adjust the massage point accurately. 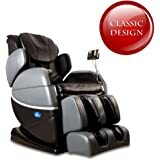 Air pressure massage function with three modes full body air pressure arms (upper arm set with 4 airbags arm set with 8 airbags),leg set with 16 airbags, three intensity option.Leg designed with roller massage function at the bottom of foot two pairs of papillae on toe root rotating massage on the arch and heel mastoid skin scraping massage.Back heating function; carbon fibre far infrared heat sourc Armrest side configuration blue LED colourful artistic lamp.Calf rest can extend steeples can fit different body height Backrest frame down slides used technology to deviate from the wall by keeping zero space, reach the maximum space saving. 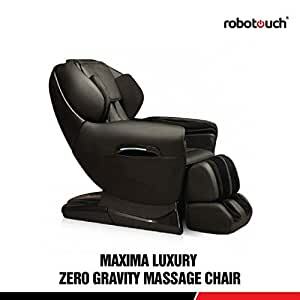 Leg lifting adjusting, the backrest frame lifting adjusting and automatic lay down mode adjustment function L shape back track fitting curves of the body, can realize the zero gravity when back down.